A man was struck and killed by a train at Smith Road and Quebec Street, early Wednesday morning, Denver police said. 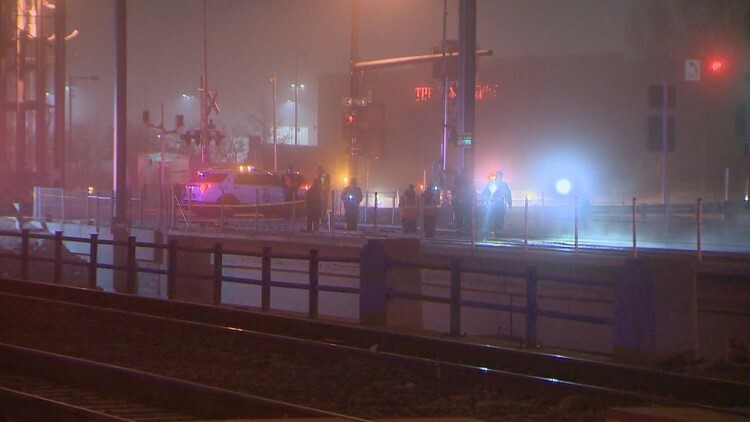 DENVER — A man was struck and killed by a train early Wednesday morning at Smith Road and Quebec Street, according to the Denver Police Department. Police responded to the area just after 3 a.m. and said the victim was pronounced dead at the scene. The Regional Transportation District confirmed just after noon that it was the A Line that struck the victim. All railway traffic was initially suspended due to the investigation, but just before 5:30 a.m., police said all roads and railways in the area were back open. During the closure, A Line service between Union Station and Denver International Airport was provided by buses. Around 12:30 p.m. there was an A Line delay unrelated to this morning's crash. A spokesperson for DPD said that investigators are looking at this death as a suicide.